In the past (when I actually had a TV to sit in front of! ), I’d earn from £25 – £100 a week depending on how much time I committed to survey sites every evening. The work is easy and doesn’t take up much brain power, and can be done from anywhere – perfect for an easy side hustle after your main 9 – 5. There are a lot of survey sites on the internet. There may be better ones than listed below (and if there are I’d love you to tell me! ), but the ones below are the best survey sites I’ve used, tested, and had good results from. To me, that’s the most important thing: be able to recommend legitimate sites that actually pay for the time you put in! Survey Junkie is one of my favorite survey sites and in my opinion they have the most user-friendly site for surveys. In addition to being extremely user-friendly, they have a Trust Pilot rating of 8.8 out of 10 from users just like yourself. After taking a survey, you will earn points to redeem for either cash into your PayPal account or e-gift cards. Open to those living in the U.S., Canada, or Australia. Inbox Dollars is a rewards club that pays you in cash for completing a variety of online activities. This can include searching the internet, filling out surveys, printing off coupons, and shopping online. The one thing I really like about Inbox Dollars is you can get paid out for doing the exact same things you’re already doing! This company will pay you in the form of Amazon Gift Cards, iTunes Gift Cards, and Starbucks Gift cards just to name a few. In order to earn these rewards, you need to fill out their online surveys they are actually pretty entertaining. With surveys being only a small slice of the pie MyPoints offers a wide range of different opportunities to earn, earn, earn. MyPoints members can shop through links on the website to earn points, watch videos, complete simple surveys and follow email links. There are coupons to use, a search bar to download, and games to play – there are so many ways to earn! There is no standard conversion rate of points-to-rewards, and MyPoints sometimes runs exciting special “deals” where members can redeem certain vouchers for a lower number of points. There is a wide range of reward options, and points expire within a year of the account being inactive. MyPoints is a site where you can really choose how much time you want to invest in all the different money-making options, but –as stated– the surveys are not really the main focus. However, even with so many different choices it is always worth signing up to additional sites so you that will get a regular supply of reward making surveys. If it’s cash or cash back that you crave, then CashCrate could an online portal that really meets your needs. 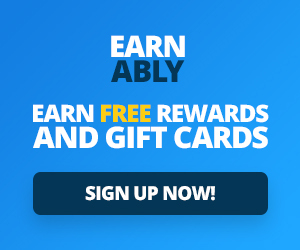 CashCrate is presently offering new members a $1 reward for simply signing-up but do be careful to uncheck any billing that you don’t wish to partake in! Be methodical and sign up carefully. Double, triple check, and then they’ll be no surprises. Boasting over 6 million members worldwide CashCrate is obviously an established platform through which you can make cash. There’s even a Payment Wall that you can surf to see who is getting paid real cash. I think that’s kind of a fun way to prove they are legitimate. Whatever you referrals earn you get 20% and then an additional 10% of what your referral’s referrals make. When the number of new members you are connected to is large enough this can even increase to 30% of your referral’s earnings and 20% of what their referrals pull in. Extra cash bonuses are also offered. All-in-all it seems to be a pretty neat and tidy sum of cash making opportunity. For daily survey opportunities, visit EarningStation. You will also earn rewards points by watching videos, redeeming coupons, and signing up for offers (Express Deals). Points can be redeemed for PayPal cash or gift cards. Bonus: Visit EarningStation at least once a day at least 10 days in a row to earn a cash bonus! If you don’t have a desktop or laptop to install SurveySavvy’s research software, MobileXpression lets you share your internet activity from your phone or tablet plus paid surveys. Rewards points can be redeemed for cash, gift cards, merchandise, and weekly prize drawings. You must own either an iOS smartphone or tablet and be at least 18 years old to join. MobileXpression is also available for Android. Answer surveys and read emails to make money with Panda Research that pay up to $25 per task. You might like Panda Research because they send payment by PayPal on the 1st and 15th. Only U.S. citizens are allowed to join. YouGov asks your opinion about consumer brands and current political events. 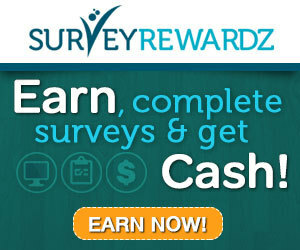 You earn points with daily survey invitations and polls to redeem points for cash and gift cards. Membership is open to U.S. and Canadian residents at least 14 years old. For ladies only, Surveys4Moms features surveys that parents will enjoy answering about consumer products that ladies and mothers use. Once your rewards balance reaches $20, you can request payment by PayPal.